Probiotic food is all the rage at the moment. In food and health magazines, blogs and newspapers, everywhere you turn there are articles singing the praises of tempeh, or extolling the benefit of kombucha in keeping our digestive systems healthy. Television commercials advertise the miraculous power of yogurt whose live cultures keep us all regular. 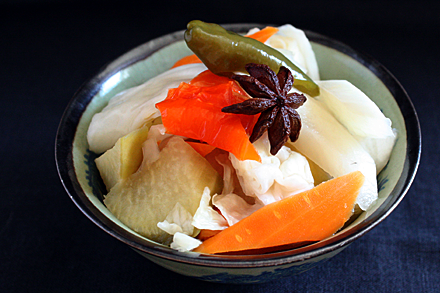 Even sauerkraut and kimchi have been enlisted to manage the balance of bio functions in our gastrointestinal tracts. So are there probiotic foods in Chinese cooking? It may surprise many people to learn that China has been the world’s largest producer of potatoes since 1993. But it should not be entirely unexpected. 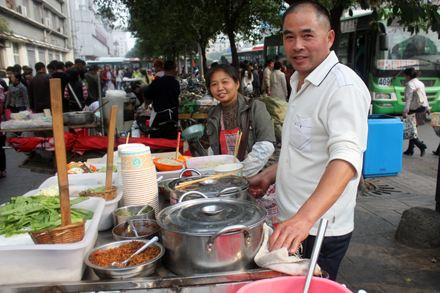 The Chinese diet has changed drastically since the economic reforms of the 1980’s. Introduction of French fries by Western fast food establishments popularized potatoes. The Chinese government has been enhancing food security by encouraging diversification of staple crops to include high-yield potatoes. And the Chinese are adapting new and exciting ways to cook the mighty spud. Song Jiang (宋江), who is an outlaw during the Song dynasty (宋朝) around eleventh century, is also a heroic character in the classic Chinese novel Water Margin (水滸傳) written around the fourteenth century. In the novel he is exiled to Jiang Zhou (江州) after being convicted for a murder. Along with two bailiffs they board a hired river ferry which, unbeknownst to them, is operated by a pirate. Once they reach the middle of the river the pirate demands that they turn over their possessions and choose “shaved noodles” (板刀麵) or “wonton” (餛飩) for their last meal. Upon further clarification the pirate explains they can either be killed under his machete like dough being shaved into noodles or they can kill themselves by jumping into the river like wonton in a soup. 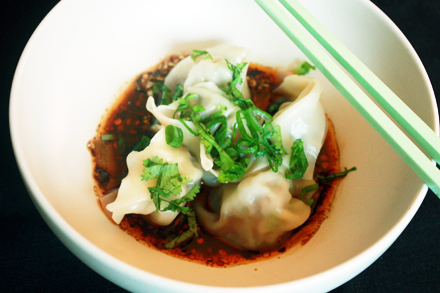 Such is the poetic macabre image of wonton in one of the most beloved literary works of ancient China. For the first century after the introduction of Chinese food to America by the first immigrants to California in the 1850’s, Cantonese cuisine reigned supreme. 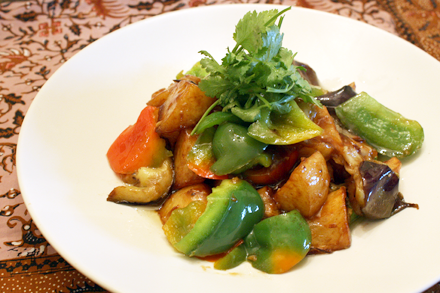 It was the most commonly served food in Chinese restaurants. 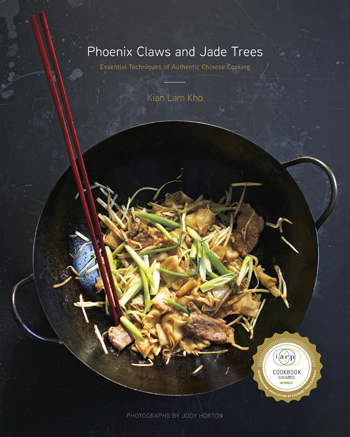 “Mandarin” cooking, which became the jargon for anything non-Cantonese, appeared in the late 1960’s. Still most menus were made up of familiar soy sauce-based non-spicy items. Then in the mid 1960s Shun Lee Dynasty opened in the east side of Manhattan and started serving Sichuan influenced dishes. In 1969, after receiving four stars from Craig Claiborne of The New York Times, the public thronged to the restaurant to sample this new spicy cooking of China. In spite of the hazy smog that has become the norm in China’s polluted cities, all but one day of my recent trip to Chengdu (成都), the capital of Sichuan province, was clear and bright. I took full advantage of the good weather and explored many of its vibrant neighborhoods on foot. Living up to the city’s reputation as the snacking capital of China, I found a myriad of street vendors selling noodles, dumplings, fried snacks and other local delights. Much of these have been glorified in guidebooks, travel articles and cookbooks. What is not commonly known, however, is the struggle these vendors face in dealing with the authority. There is a mystical allure about the Chinese province of Sichuan (四川) that fascinates me. I’m in awe of its endangered pandas and abundant bamboo forests. The stunning scenery at Jiuzhaigou (九寨溝) dazzles me. 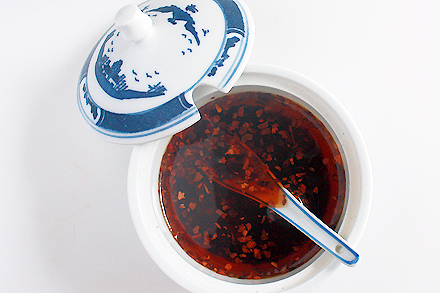 And I worship the sophisticated, spicy Sichuan cooking. 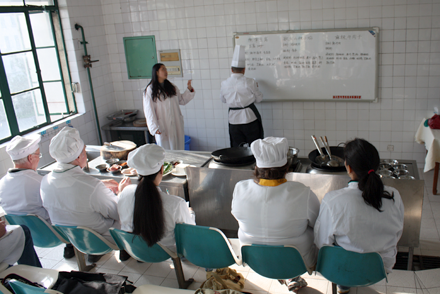 So you can imagine my excitement when I was offered the opportunity to visit Chengdu (成都), the capital of Sichuan, to observe a cooking lesson offered by the Cooking School in China program.